He founded Walter Arader Himalayan Art in 2010. The primary focus of the gallery is gilt bronze sculptures of Tibetan, Chinese, and Nepalese origin, dating from the 14-18th centuries. 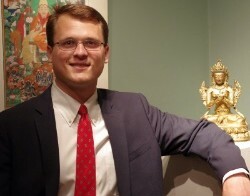 Walter Arader also deals in fine thangkas and Chinese paintings. Other than dealing art pieces, Walter Arader organizes Asian art shows in New York. He has dealt significant pieces of Himalayan art to museums internationally, including numerous public and semi-private museums in mainland China, as well as to numerous American, European, and Chinese private collections.